In this volume, Gloer and Stepp interpret Paul’s letter to Philemon and the Pastoral Epistles—Titus and 1 & 2 Timothy. 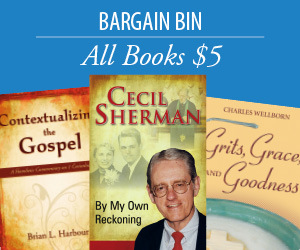 Philemon tells a simple and straight-forward story of Philemon and his escaped slave Onesimus. How can the story of an escaped slave returned to his master hold any meaning for believers today? Indeed, in Philemon we encounter a practical working out of Paul’s foundational theological ideas—grace, faith, atonement, reconciliation, freedom in Christ, new creation, and the ethical life that stems from these. In their study of the Pastoral Epistles, Gloer and Stepp describe the continuation of Paul’s missionary work, the internal and external conflicts, and Paul’s gradual withdrawal from the work that has defined his life. In Paul’s absence, how will the churches address the conflicts and persecution? They survive and thrive by trusting the successors that Paul provided for them. 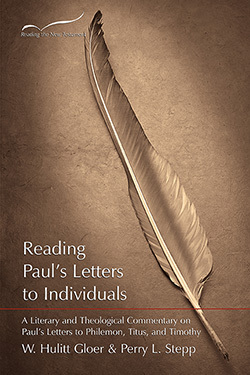 Like other volumes in this unique series, Reading Paul’s Letters to Individuals focuses on comprehending the major themes of the epistles and their relationship to the understanding of the early Christian communities. With the focus on the work in its entirety rather than a verse-by-verse methodology, this volume will appeal to the professional and nonprofessional alike, as well as to college and seminary students. W. Hulitt Gloer is the David E. Garland Professor of Preaching and Christian Scriptures and the Director of the Kyle Lake Center for Effective Preaching at the George W. Truett Seminary of Baylor University. Perry L. Stepp is Vice President for Academic Affairs at Dallas Christian College and a former professor of Biblical Studies and Theology and Dean of the Sack School of Bible & Ministry at Kentucky Christian University.